Texas-born and Harvard-educated, Dr. Perry Baird was a rising medical star in the late 1920s and 1930s. Early in his career, ahead of his time, he grew fascinated with identifying the biochemical root of manic depression, just as he began to suffer from it himself. 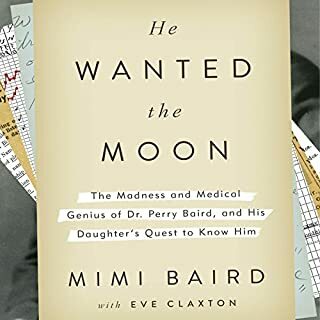 By the time the results of his groundbreaking experiments were published, Dr. Baird had been institutionalized multiple times, his medical license revoked, and his wife and daughters estranged. 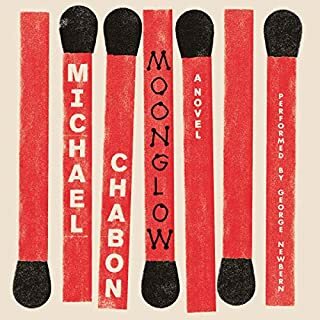 In 1989, fresh from the publication of his first novel, The Mysteries of Pittsburgh, Michael Chabon traveled to his mother's home in Oakland, California, to visit his terminally ill grandfather. 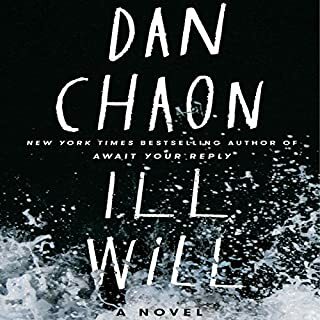 Tongue loosened by powerful painkillers, memory stirred by the imminence of death, Chabon's grandfather shared recollections and told stories the younger man had never heard before, uncovering bits and pieces of a history long buried and forgotten. That dreamlike week of revelations forms the basis of the novel Moonglow. 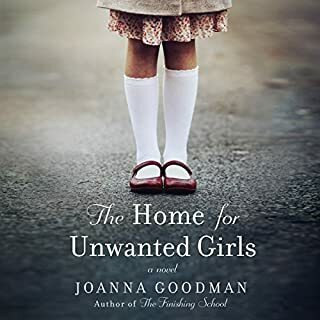 Virginia, 1852: Seventeen-year-old Josephine Bell decides to run from the failing tobacco farm where she is a slave and nurse to her ailing mistress, the aspiring artist Lu Anne Bell. 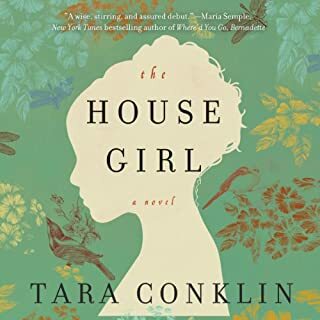 New York City, 2004: Lina Sparrow, an ambitious first-year associate in an elite law firm, is given a difficult, highly sensitive assignment that could make her career: she must find the "perfect plaintiff" to lead a historic class-action lawsuit worth trillions of dollars in reparations for descendants of American slaves. 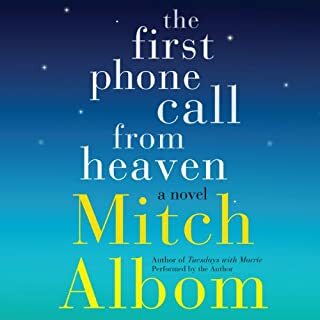 Mitch Albom creates his most unforgettable fictional character - Frankie Presto, the greatest guitarist ever to walk the Earth - in this magical novel about the bands we join in life and the power of talent to change our lives. It's an epic story of the greatest guitar player ever to live and the six lives he changed with his magical blue strings. But Frankie's talent is touched by the gods, and his amazing journey weaves him through the musical landscape of the 20th century, from classical to jazz to rock and roll, with his stunning talent affecting numerous stars along the way, including Hank Williams, Elvis Presley, Carole King, Wynton Marsalis, and even KISS. Frankie becomes a pop star himself. He makes records. He is adored. But his gift is also his burden, as he realizes that through his music he can actually affect people's futures - with one string turning blue whenever a life is altered. At the height of his popularity, Frankie Presto vanishes. His legend grows. Only decades later does he reappear - just before his spectacular death - to change one last life. With its Forrest Gump-like romp through the music world, The Magic Strings of Frankie Presto is a classic in the making. 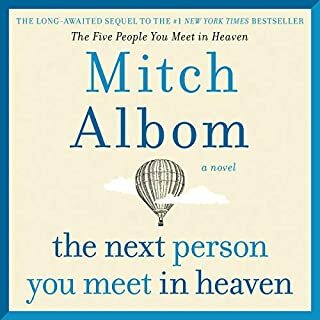 A lifelong musician himself, Mitch Albom delivers a remarkable novel infused with the message that "everyone joins a band in this life", and those connections change us all. 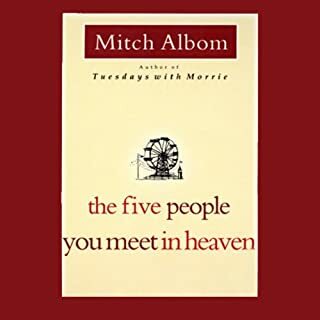 The complete list of narrators includes: Mitch Albom, Roger McGuinn, Ingrid Michaelson, John Pizzarelli, Paul Stanley, George Guidall, Mike Hodge, Robin Miles, Christian Baskous, Tony Chiroldes, Kevin O'Neil, Adriana Sananes, Ken Brown, and Sarab Kamoo. Would you listen to The Magic Strings of Frankie Presto again? Why? I liked the full cast of characters! that was awesome!! 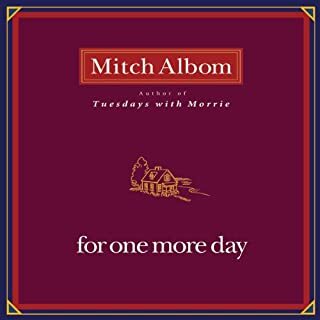 I made an attempt to read this book shorty after it was written and couldn't get through it. 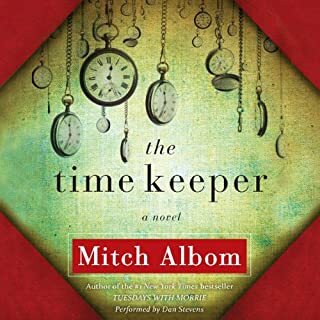 I love Mitch Albom, have read all of this books more than once, but found it hard to adjust to this writing style. After listening to it though, I would say it's one of his best fictional characters. 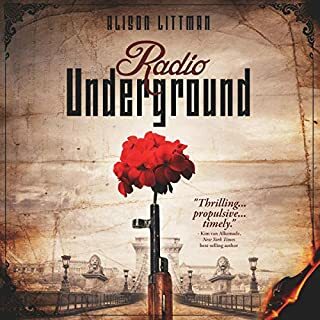 A well developed story, memorable characters, and just plain fun to listen to. Very well done! 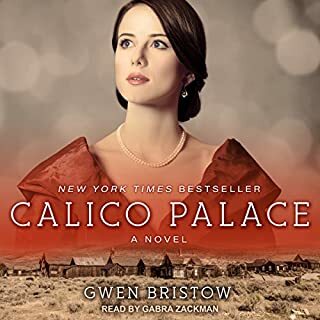 You have to listen to it, don't read it! Yes, I absolutely LOVED the performances. I can't pick just one...so good. 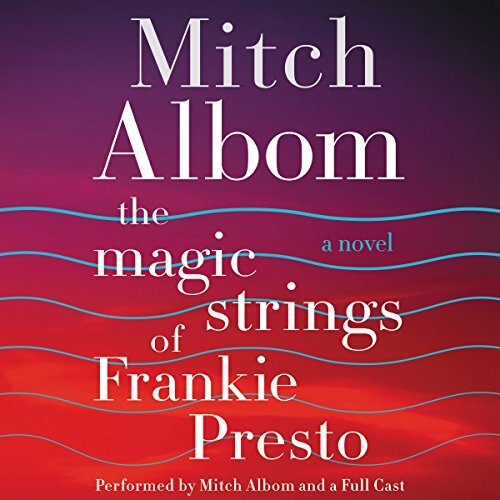 Where does The Magic Strings of Frankie Presto rank among all the audiobooks you’ve listened to so far? top 10! 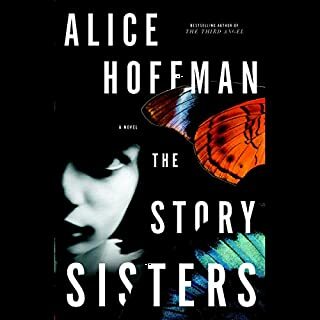 I ordered this book for my book club. 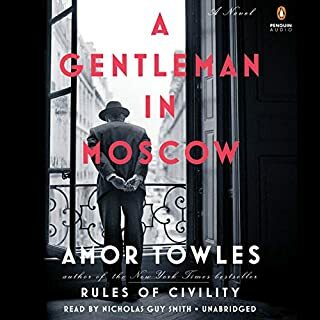 Every one else in the club had the paperback but I am an audio book fan and chose the audible version instead & I am so glad I did. The readers really brought the characters to life. I laughed with Frankie and I cried . I had to listen to the last chapter twice and I cried again,. I really love Frankie's music teacher. I know he was a gruff old man but inside he was full of passion for music and I really felt that in his teaching of Frankie. I was really moved when Frankie met Jango. It is a defining moment for him and I think if they had not connected Frankie'd life would have turned out differently. This was his first major connection to the music world. 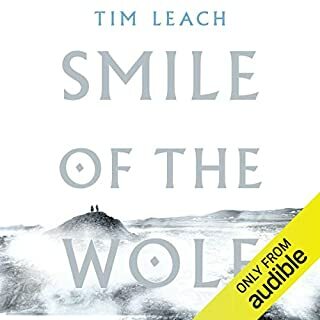 While I am sure the written version of this book is also excellent I highly recommend the audio version as the way to experience this novel. You will become connected to the characters and join their journey on a different level. I loved this book just like I've loved everything else I've read that he's written. There's a lot of jumping around in time so when listening make sure you are aware of when in time you are. 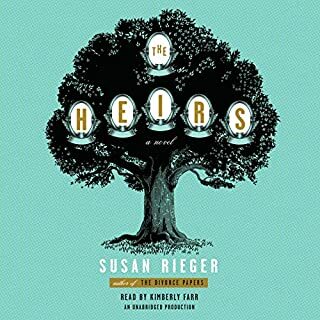 Besides that sit back and enjoy this book, it's incredible and worth the read or listen. 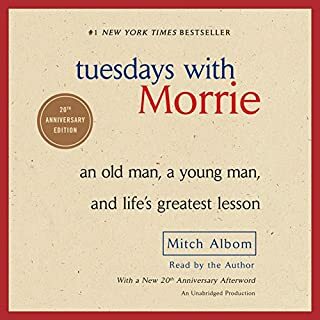 I love good stories and I love good music... this book is the best of both worlds! 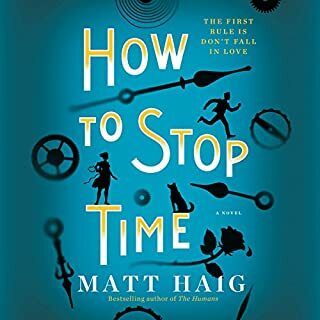 Started out interesting enough but the further I got into it the more the overwhelming coincidences became just too far fetched and too contrived to be anything else but groan worthy. Just silly. I was especially disappointed because so many of the reviews were good. I did like the idea of music having a voice.